With over four decades of experience under our belt, we guarantee a superior quality result for the lowest possible price. As one of the leading glaziers in Brighton with a flawless reputation, we specialise in creating bespoke service packages for each of our customers. 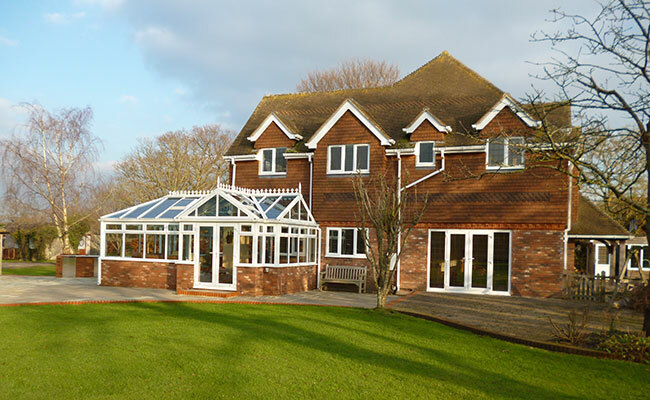 As a passionate and dedicated Sussex windows specialist, with over 40 years experience in the trade, we could not be prouder of all we’ve accomplished. Today, our range is the largest it has ever been and is populated exclusively with the UK’s most outstanding glazing products. So, whether you’re on the lookout for replacement or Ace Glass Southern is the only name you’ll ever need. What ever the style of your home we have the window ranges to make it look it's very best. View our range of high security Upvc, Aluminium and Composite doors. The time line for this including all the Base work from start to finish took just 3 weeks. What sets us apart from other companies is the way in which we inject that personal touch into double glazing. As a family business, we approach each and every job as if we were carrying it out on our own homes and for our own families – our hearts and souls go into everything we do. What’s more, as a fully independent business based in Brighton, Sussex, with an unrivalled network of suppliers spanning the whole of the UK, we offer impartial and objective advice on all aspects of double glazing. We’ve always believed that when it comes to making the right choice, there’s no room for high-pressure sales tactics or rushing into a decision. That’s why Ace Glass Southern operates a unique no-pressure sales policy which means that while we’re always on hand to advise and guide, we’ll never try and force you into making a decision. All consultations are free, our sales team exists only to help guide you in the right direction and we won’t suggest taking a single step forward until you’re 100% happy with the proposal. This is a guarantee we promise across the board to each and every client that comes our way – we make choosing for double glazed windows relaxed, informal and unhurried. We’re proud to focus on the locality we call home, though at the same time are always delighted to take on jobs from across the county. So, whether it’s replacement double glazing windows, a new conservatory or a bespoke internal double glazing service that’s required, you can guarantee we’ll have you covered. We went into business to create a uniquely comprehensive service that not only cuts out the middleman, but brings the public the opportunity to cover all needs and all bases with one single service provider. From initial consultations to sourcing the best products to installation and total aftercare, we'll take care of your every need. We look forward to hearing from you so call us today on 01273686968!